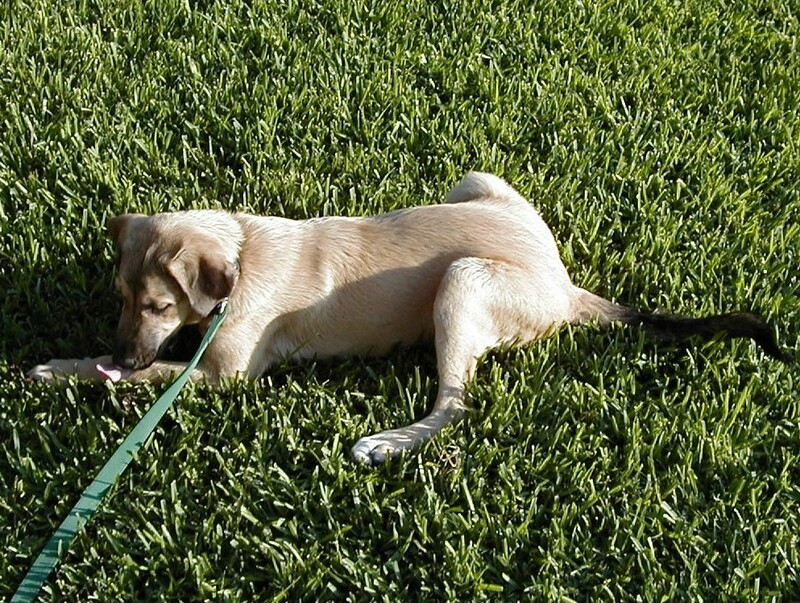 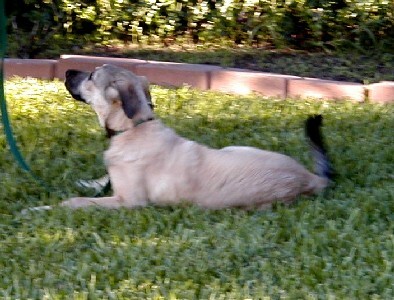 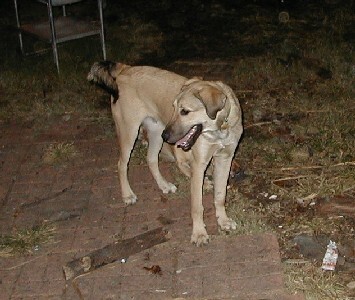 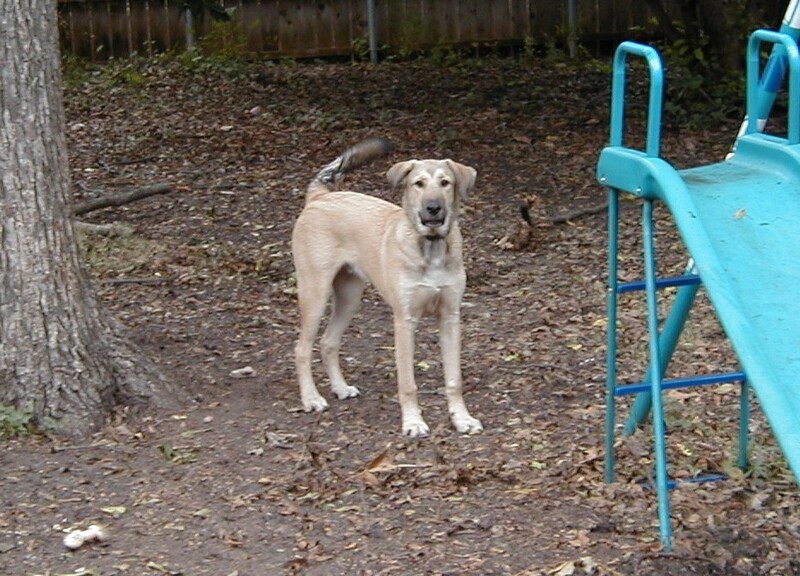 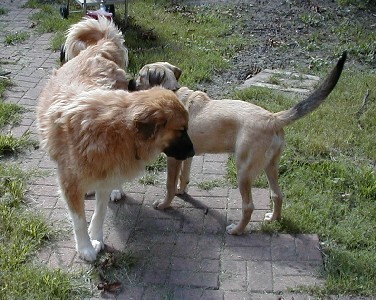 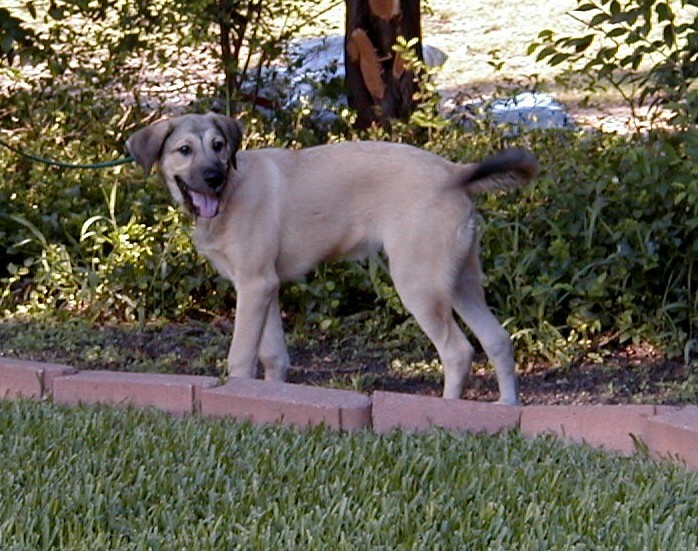 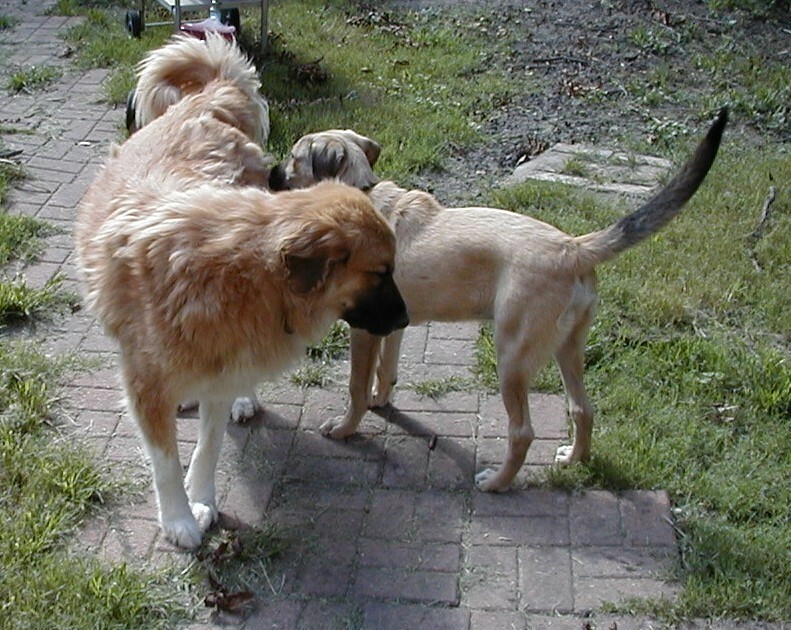 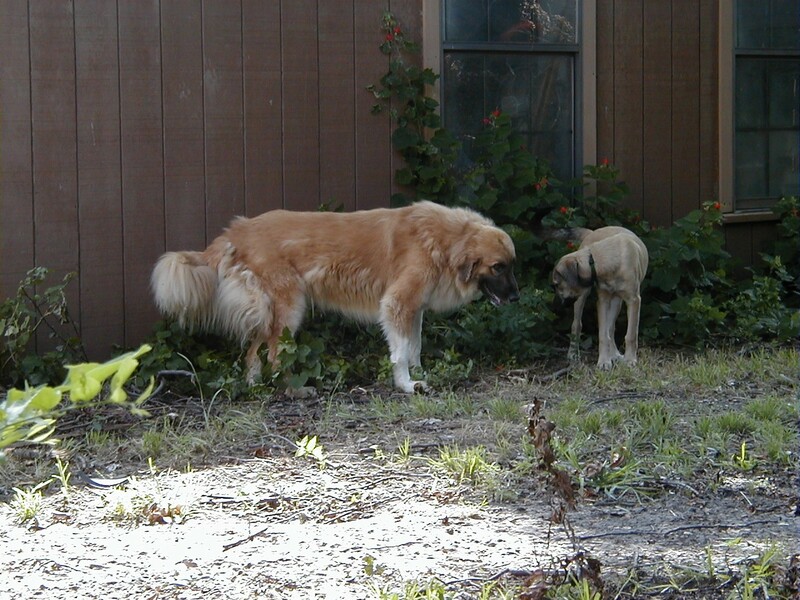 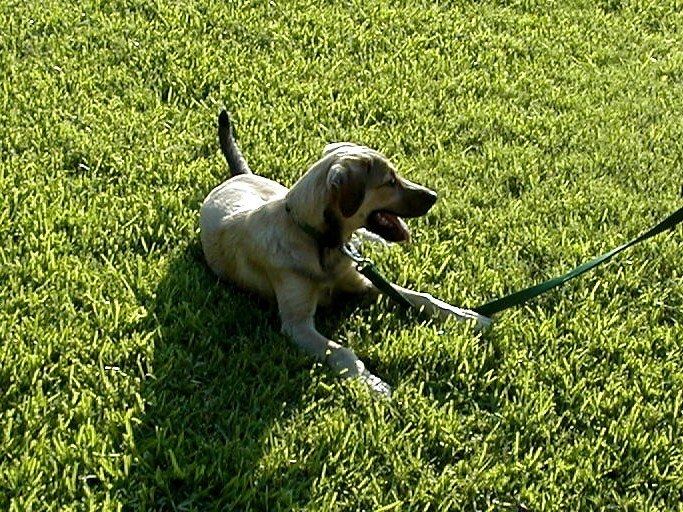 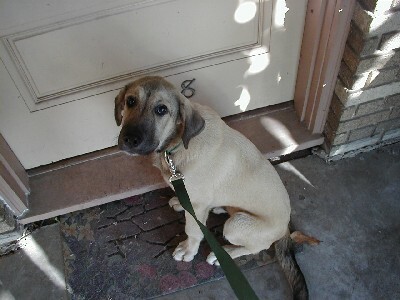 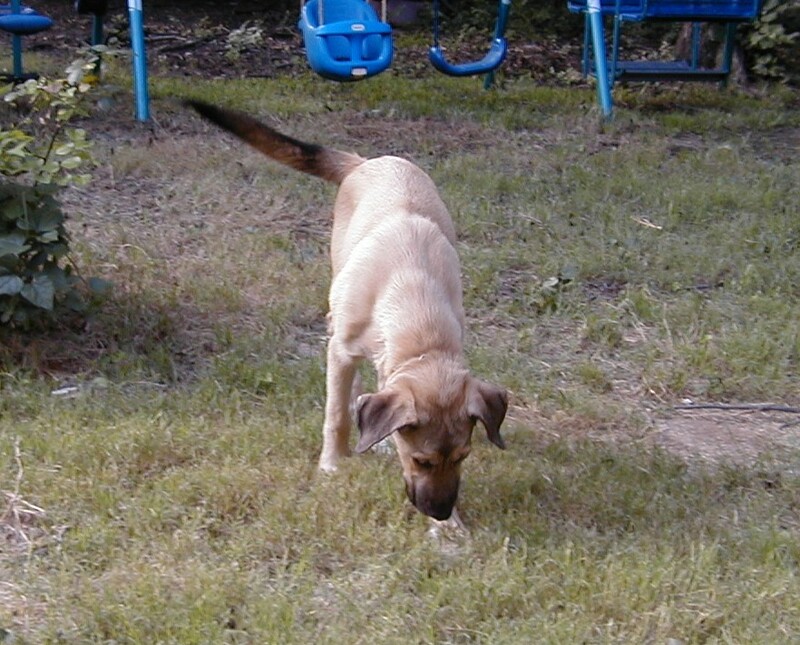 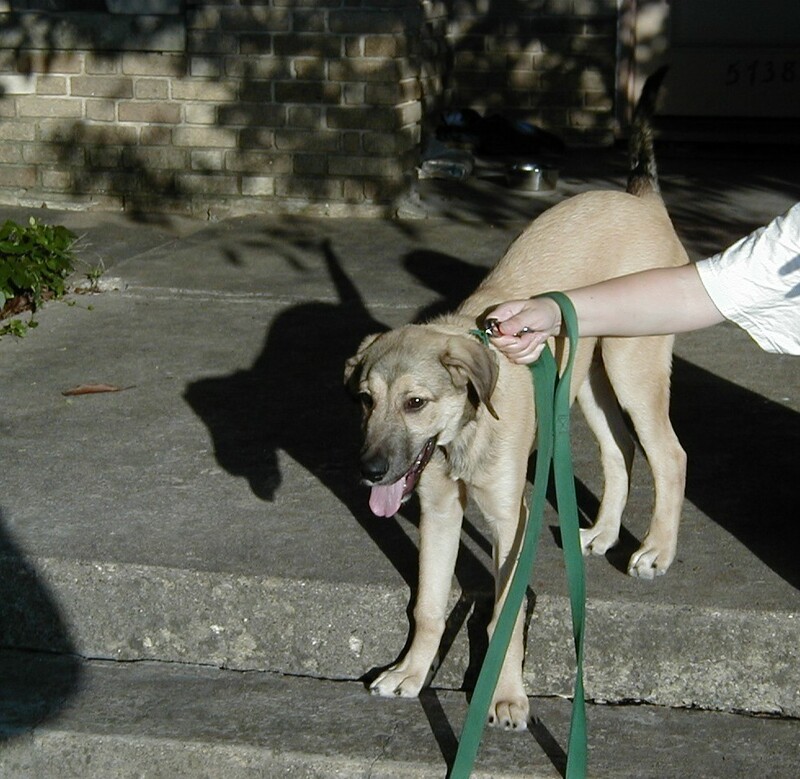 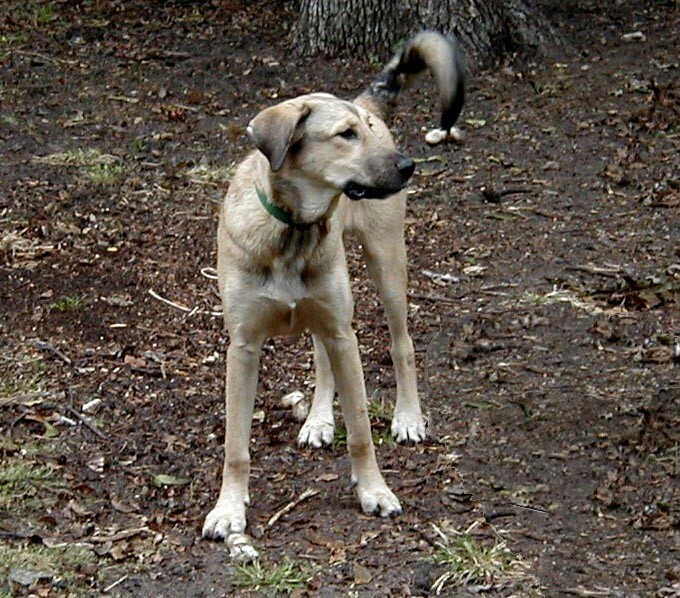 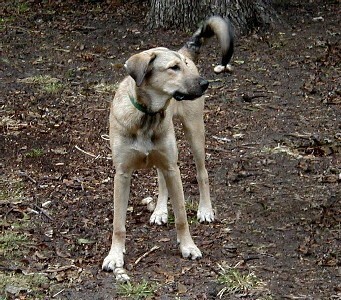 We fostered Alex for the National Anatolian Shepherd Rescue Network. 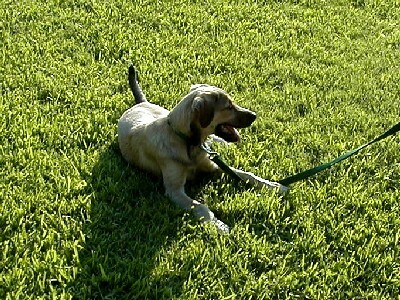 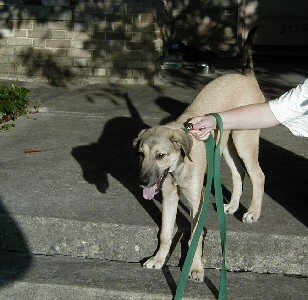 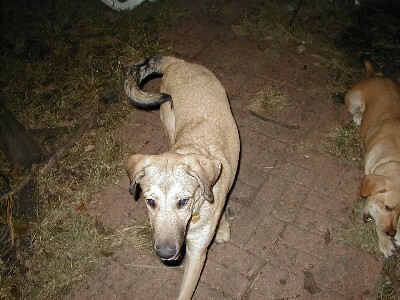 Alex was apparently dumped at a shelter in southeast Texas and was taken into rescue from there. 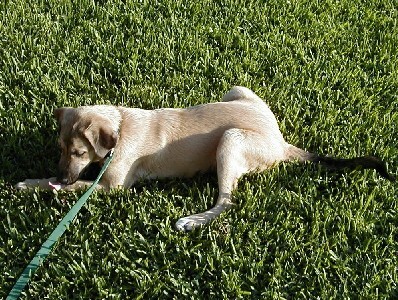 You can click on the pictures to see larger versions. In some of these pictures you can see red flowers which grow wild in Texas. 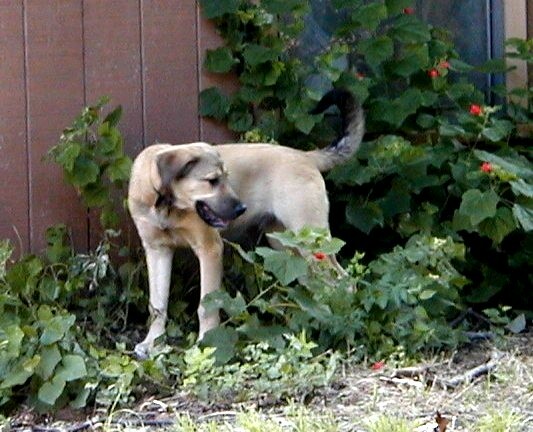 There are called Turk's Cap -- appropriate for dogs originating in Turkey. 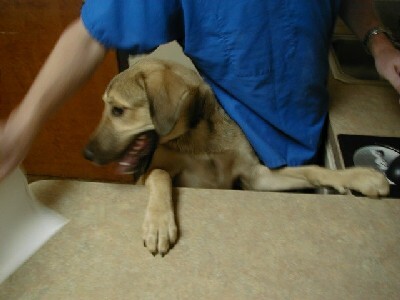 Alex was pretty good when he went to the vet in August for his puppy booster shots. 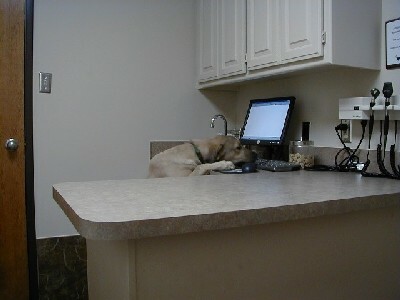 He is always looking for something to do so he made himself quite at home in the examining room. 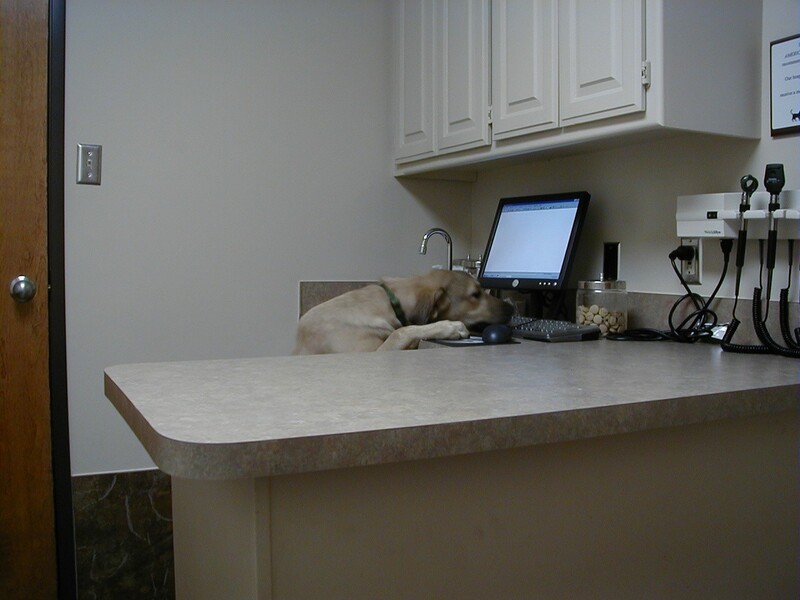 His computer skills are still a bit elementary but we have high hopes for him. All pictures and text are copyright © Charles Helm 2004-2007 and may not be used or reproduced without written permission.